HEJ Natural Whey is made in Germany under highest GMP production standards. The ultimate quality! 22g high quality whey protein per shake strengthen your muscles. 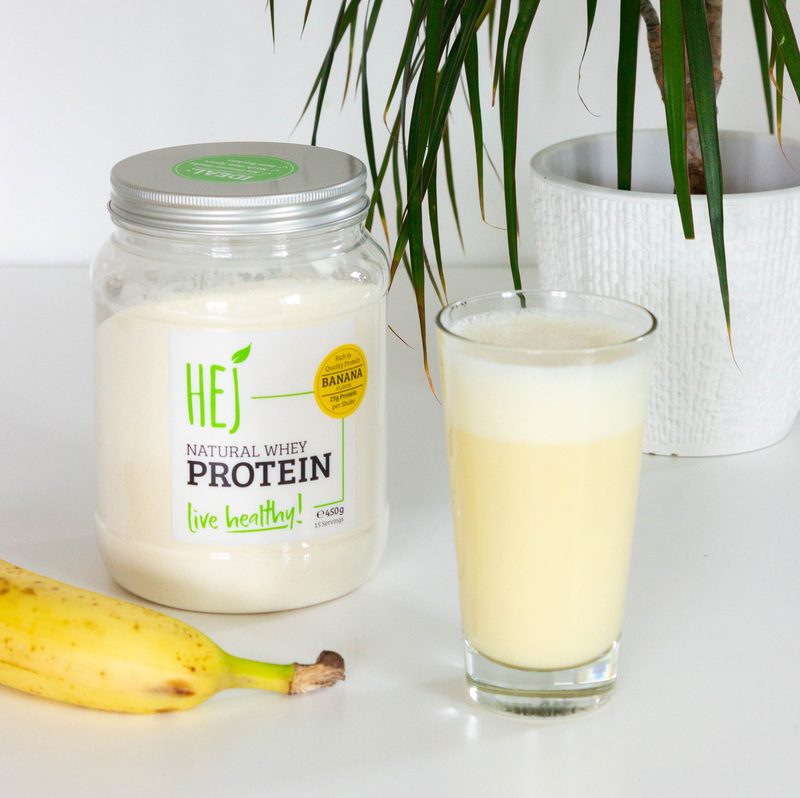 Drink a HEJ Shake first thing in the morning and direct after your workout. 1 serving = 30g (2 scoops) HEJ Natural Whey in skim milk or water. No matter if mixed with water or milk - our protein shakes are always tasty and delicious! We don't add unnecessary things. Only the best ingredients for your fitness: lots of protein for muscle recovery. Even though it's a whey protein we still wanted to keep the lactose down - under 5g of lactose per 100g! High protein content, low sugar and low fat - our whey protein combines great test, great solubility and great nutritional values! The best thing about whey protein? It's high availability and fast absorption. That's why it's considered the best protein for athletes! Produced under strictly regulated and highly certified conditions (GMP, IFS - the gold standard in food certificates) in Germany! The Natural Whey comes in many different flavors and is suited for all fitness goals. Delicious creamy protein shakes anytime and anywhere. Whey protein is valuable protein from milk and cheese production. During workouts your muscle cells are being “damage” and proteins are macronutrients which help repair these cells. 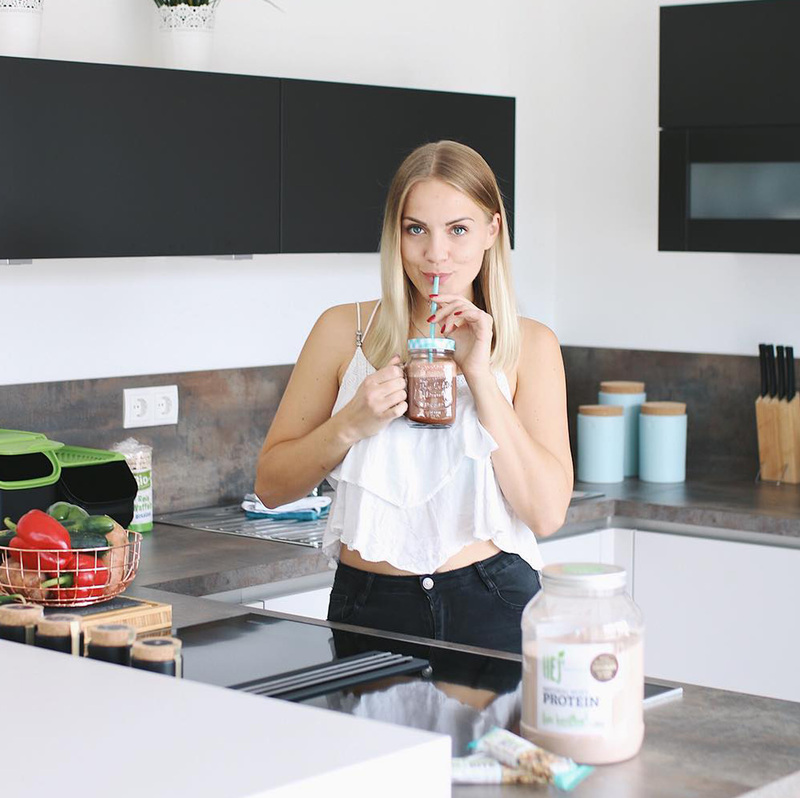 Whey has a very high bioavailability which means lots of protein is arriving in your muscles cells rather than being broken down by digestive processes. Why is whey protein valuable? Whey protein contains high levels of essential amino acids and is being easily processed by the body. After an intense workout, whey is the ideal protein source to maximize the protein synthesis. 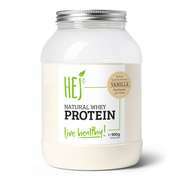 What is the protein content in the HEJ Natural Whey Protein? The protein content varies between 72% - 77% and the whey originates from German milk farmers. 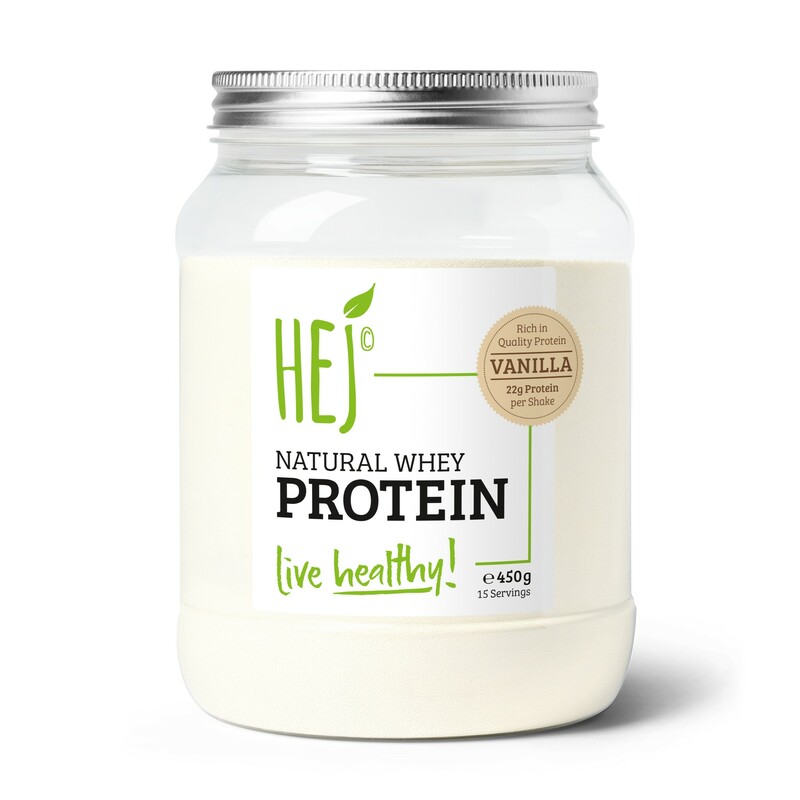 How is HEJ’s Whey different from other whey proteins? Our whey is reduced in sweetness and has a short list of natural ingredients. The production complies with the highest quality standards in German food laws. Protein source: pure whey protein concentrate. Contains only 5% carbs and 5% fat. Whey protein has a high biological availability and does not lose any value in the digestive tract in contrast to most other protein sources. The production of the HEJ Natural Whey is tested by the Fresenius Institute of Germany and meets the highest requirements: GMP as well as IFS certified. May contain traces of gluten and egg protein. This product is a food supplement. It does not replace a balanced and varied diet. The recommended serving size should not be exceeded. It should be stored out of reach of small children.